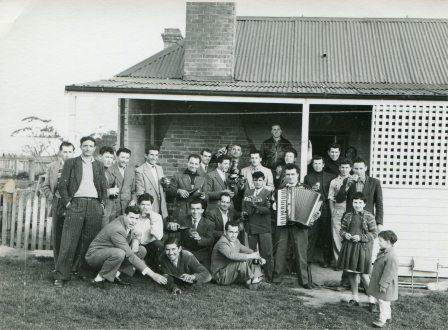 After WWII, many European men came to Australia. 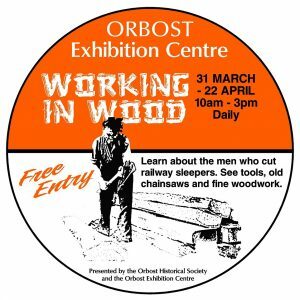 The Orbost district provided jobs in the timber and sleeper cutting industries. This photo is of young Italian men, many of them sleeper cutters. 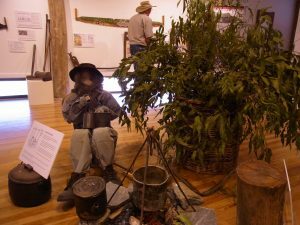 From 1912 onwards, many men camped in the bush while cutting sleepers and hewing beams for the railways. These were rough camps in isolated places often in bag tents or bark huts. Although the sleeper cutting industry closed down in 1993, some of the sleeper cutters and their families were interviewed. Each of these interviews was displayed individually on specially designed posters. These gave insights into their work and lives. 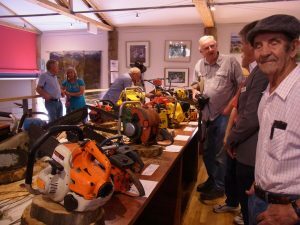 A display of chainsaws from the 1940s onwards was a special feature of this exhibition. Lots of fun trying to guess what these old objects are. WHAT IS IT? 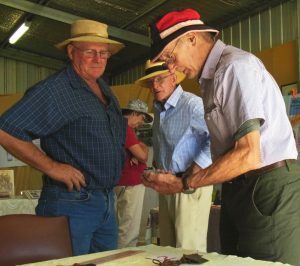 Our mystery objects stumped a lot of people – a headlight dimmer; a hand held tool for de-husking maize; a palm thimble for sewing bags of maize or wheat; cattle tags from the Shire of Orbost. Do you think that any of these men got them all correct? WHO DOES IRONING? This survey was prompted by our display of irons. 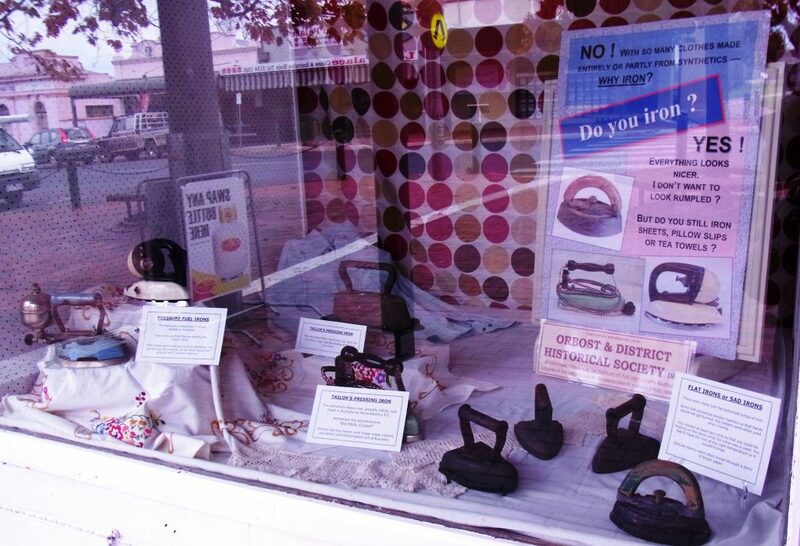 Yes, there are some people who still iron. 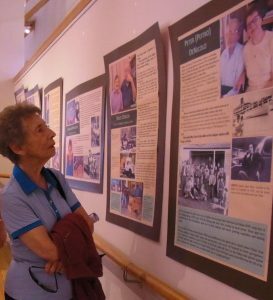 If you would like information or photos from our Exhibitions, just contact us. 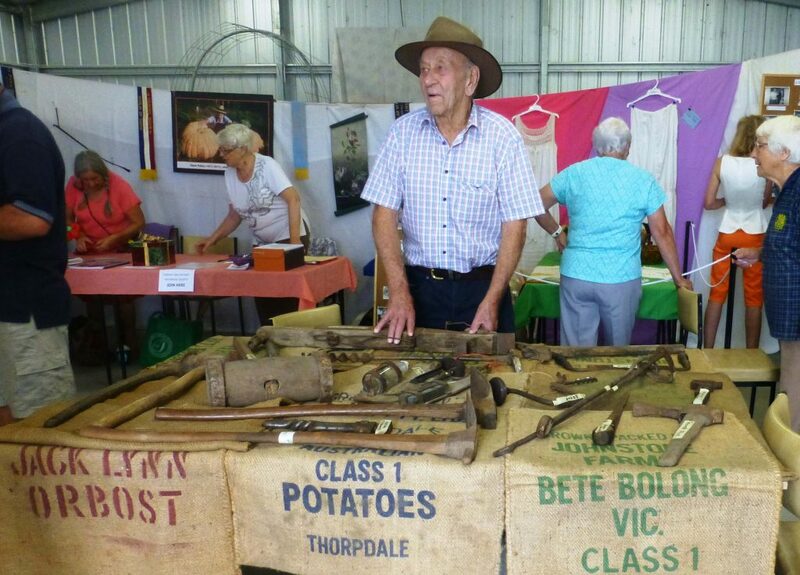 Every year, we rent the Lions Shed at the Orbost Show for our historical displays which are visited by almost everyone who comes to the Agricultural Show. ABOVE: Local people at our 1916 Show display. 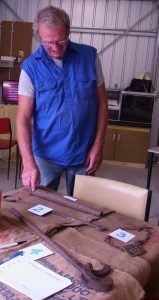 Having a close look a the display of hand tools is Bob Trewin. 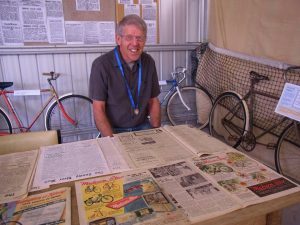 Almost 3,000 people visited this exhibition over Easter 2016, including many ex-railway workers and rail buffs. 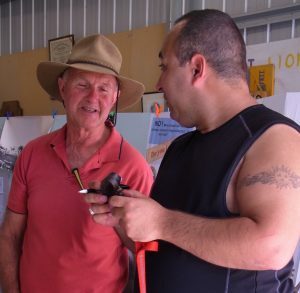 Local people shared their memories, photos, and videos (including a video of the Last Train to Orbost 1987 by Ray Barling). 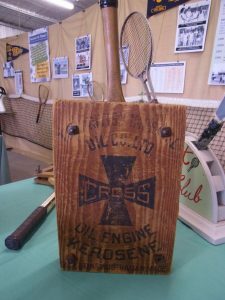 This exhibition combined historical research and a lively presentation. 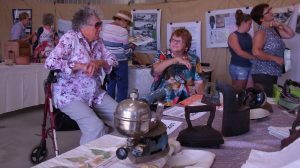 It won the Event of the Year Award at the 2017 Australia Day Celebrations in Orbost. 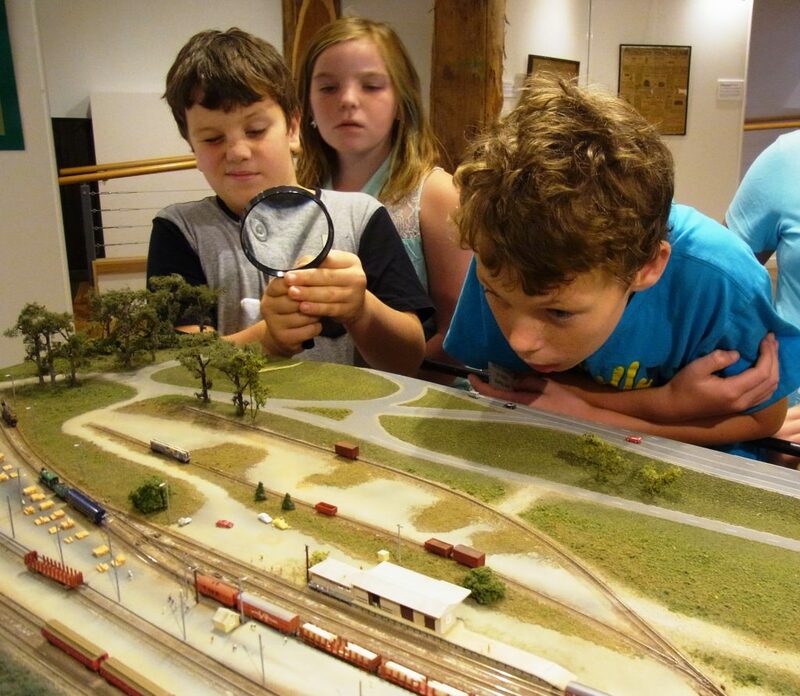 ABOVE: Children take a close look at Paul Blake’s model railway. Hot pants, teased hair, corduroy jackets, fashion, kitchen ware, everything from the swinging 1960s was a very popular exhibition in 2014. ABOVE: These 1960s wedding gowns were all worn by local women.